No matter what kind of cooking space you have, it’s vital for you to have a well-made basin that allows you to wash and rinse ingredients, fruit, vegetables, cutlery and crockery with ease. If you’re not standing at the stove, it’s more than likely that you’ll be found in front of your kitchen’s washing basin – so it pays to have one that’s high-quality. 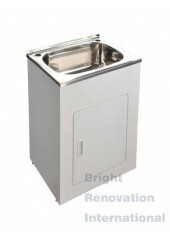 At Bright Renovation, we have a huge range of quality kitchen sink son offer in Melbourne. All of our products are made from professional-grade stainless steel, which is sure to stand up to extreme temperatures and exposure to all kinds of organic material, impacts and scratches. 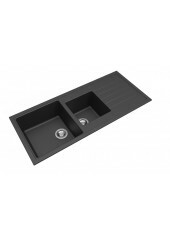 Our styles include rounded and square undermount and drop-in kitchen sinks, which are a great choice for anyone who wants to easily sweep crumbs and other debris into their basin for easy removal. 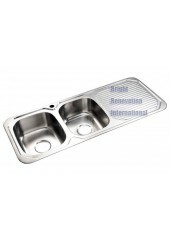 We also offer products with in-built drainers for your bowls, plates and cups and multiple-bowl construction that allows you to soak items in one basin whilst washing in the other. 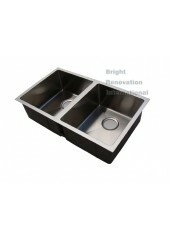 Our range of high-quality, cheap square sinks also includes stainless steel laundry basins and tubs. We’re proud to present you with solutions for both your cooking space and laundry room.